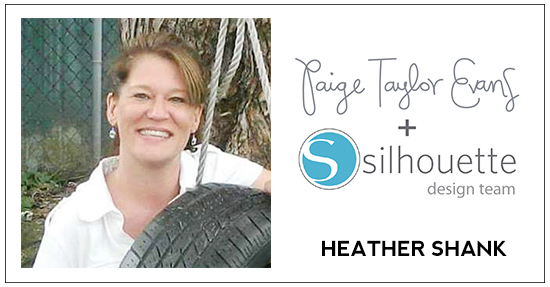 I love the perfect balance of white space and layered embellishments on this new layout by design team member Heather Shank! Hi everyone! 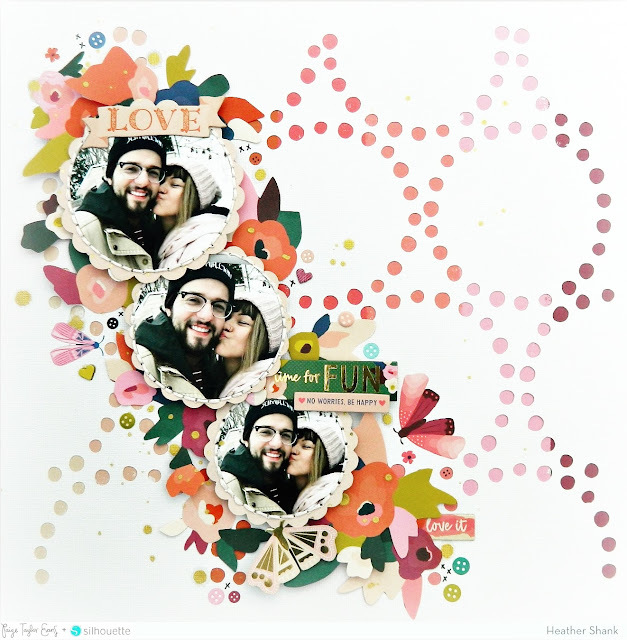 It's Heather here and I'm sharing another layout using the gorgeous Pick-Me-Up collection and the Polka Dot Circles Background cut file. I love circle layouts and thought it would be a fun idea to incorporate some round photos to go with the cut file. 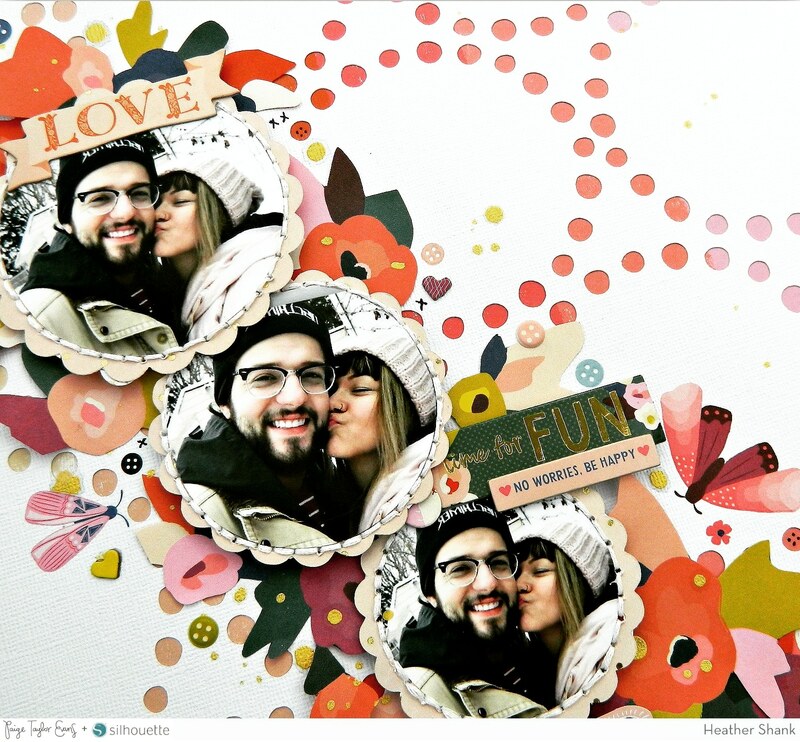 First I used my Silhouette Cameo to cut the Polka Dot Circles Background cut file from white cardstock. I wanted to showcase all the beautiful berry tones in the Pick-Me-Up collection so I used Paper 24 to back the cut file. I fussy cut lots of beautiful flowers from Paper 02 and placed them along the left side of my layout for my photos to have some layering underneath. I cut the same photo in three different circle sizes and backed them with a scalloped circle using the pink ombre paper with gold foiling from the 6x6 Paper Pad. I also added some hand stitching around the photos for texture. To finish off my layout I added some Chipboard Stickers for my title and had so much fun adding lots of the beautiful Rub-Ons and Puffy Stickers around the flowers. I hope you enjoyed my layout! 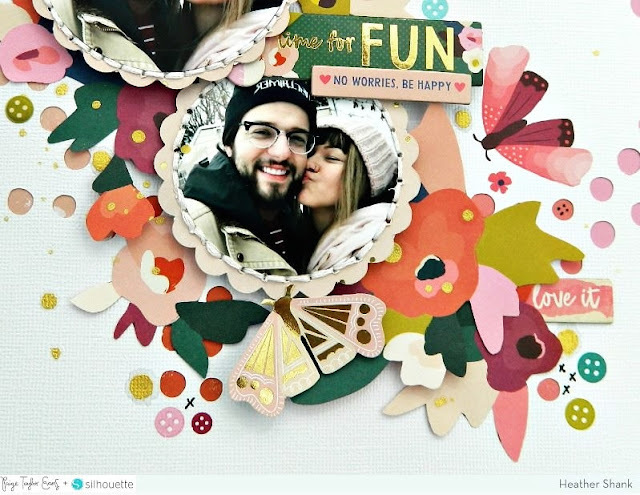 I love how the photo and embellishment line is cascading at a slight angle down the left side of the page - so pretty! Soooo gorgeous! LOVING all the circles and the circle frames!!!!!!!!!!!! 50% Off My Cut Files!